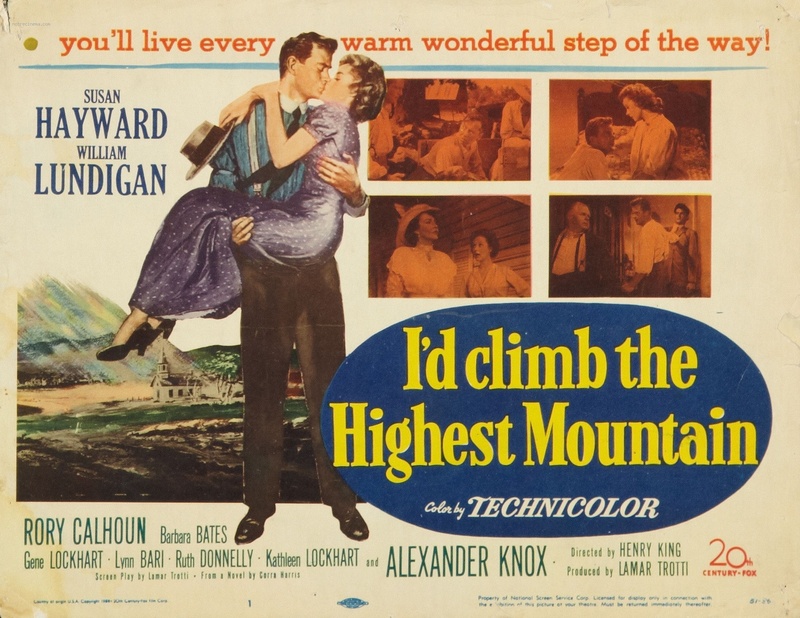 I’D CLIMB THE HIGHEST MOUNTAIN details the trials and tribulations of a Methodist preacher, his wife, and their congregation, in the North Georgia back-country of the early 1900s. Directed by Henry King in 1951, it’s handled in a straightforward fashion, refreshingly absent of piety and corn, making for a picturesque 88 minutes of Americana. 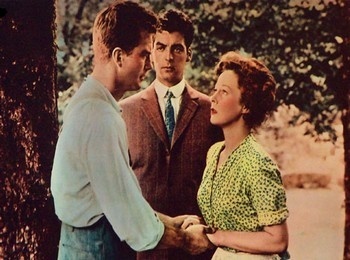 Nicely produced, sensibly written, performed by a personable cast, led by William Lundigan, Susan Hayward and Rory Calhoun. The subject matter likely is of little import to most viewers nowadays (it did well on release, grossing $6,100,000, 36th place for the year), and the movie lacks excitement, but it fits well as leisurely entertainment in a style suitable for family. Good color camera work from Edward Cronjager, and an evocative musical background from Sol Kaplan complement the proceedings. With Barbara Bates, Alexander Knox, Gene Lockhart, Lynn Bari and Ruth Donnelly.